Bonjour tout le monde. Ça va ? 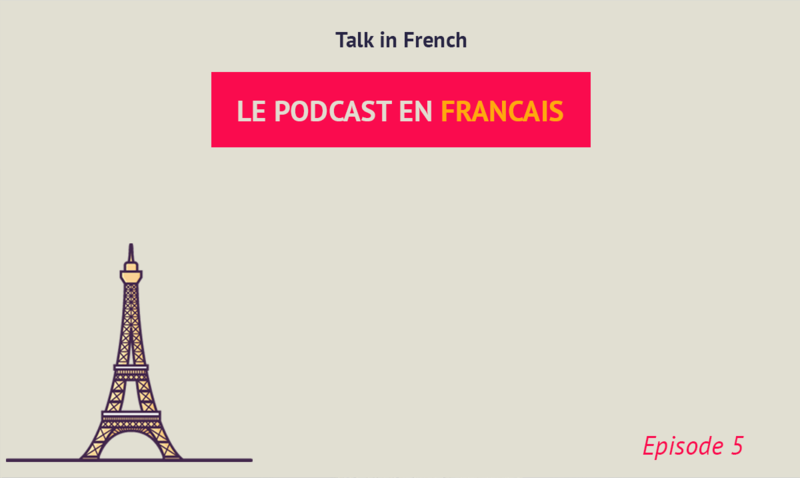 Last month, I launched the new podcast for advanced French learners. Have you checked it yet? If you haven’t, don’t worry, there’s plenty of time to do so, especially today. I’m giving you another sneak peek into the podcast by sharing one episode that you can listen to for free. In this episode, my co-host Katie and I talk about the differences of conversations in French, American, and British. We also discuss how one should behave during conversations among the three different cultures. Aside from that, we talk about how to do “small talk” (banalités) in French. That one can be pretty scary for some, but this episode should help you with that. Finally, for the grammar part, we discuss the important verb ‘falloir” which is particularly useful when expression and advice or a recommendation. This podcast is ideal for advanced level French learners. Though those belonging to intermediate may still find this useful in practising your listening skills. This free episode does not come with a transcript, but the full transcription and grammar notes (a hefty 1,000+ pages of it) is available when you get the complete first season. Ready to listen? Here is Episode #5. Want to check out the rest of the season? Get your copy now of 26 episodes (+ 1 bonus episode) for only U$49 or the equivalent in your currency. That’s almost half the price of other competitors’ podcast, but with more valuable content!